The Smithsonian National Museum of African American History and Culture (NMAAHC) in Washington, D.C., is gearing up for a national symposium that will reflect on a half-century of work by black American design professionals. 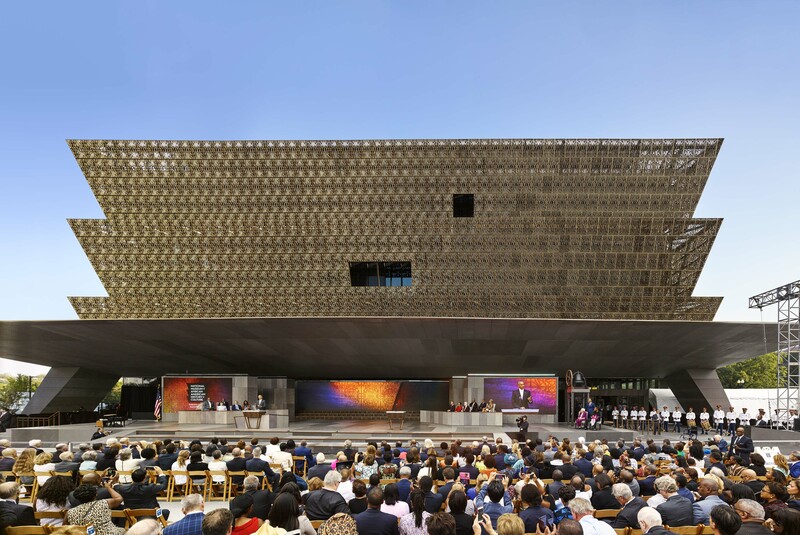 Shifting the Landscape: Black Architects and Planners, 1968 to Now will be a three-day event in late September featuring talks and presentations from Sir David Adjaye, Justin Garrett Moore, Mabel O. Wilson, Jennifer Newsom, and many more at Adjaye’s NMAAHC building and the National Museum of African Art. The event will highlight the work of black architects and planners since the late ’60s, and speakers will reflect on the evolving relationship between design and activism. The events are also intended to allow participants to network and form relationships that could help young designers advance their careers. The symposium is one of many events this year that looks at the profession’s progress on racial equity since Whitney M. Young Jr.‘s 1968 address to the annual convention of the AIA. In that speech, the then–executive director of the National Urban League exhorted architects to take on the nation’s social and political issues, especially those of the nation’s cities. He also encouraged the profession to embrace diversity and encourage designers from underrepresented groups to take their place in the design community. Although the symposium has already reached capacity, its Thursday and Friday events will be streamed online here. Shifting the Landscape: Black Architects and Planners, 1968 to Now will take place Thursday, September 27, through Saturday, September 29 at the Smithsonian National Museum of African American History and Culture and the National Museum of African Art, both in Washington, D.C.
David Adjaye Smithsonian National Museum of African American History and Culture Whitney M. Young Jr.